What do vegans eat? Once preserve of peace-loving hippies, veganism has become somewhat of a trendy movement. While it’s not for everyone, it does have some undeniable benefits. It plays a key role in the sustainability of our food sources and is a boon to your health. Nonetheless, going vegan is not for the faint hearted. 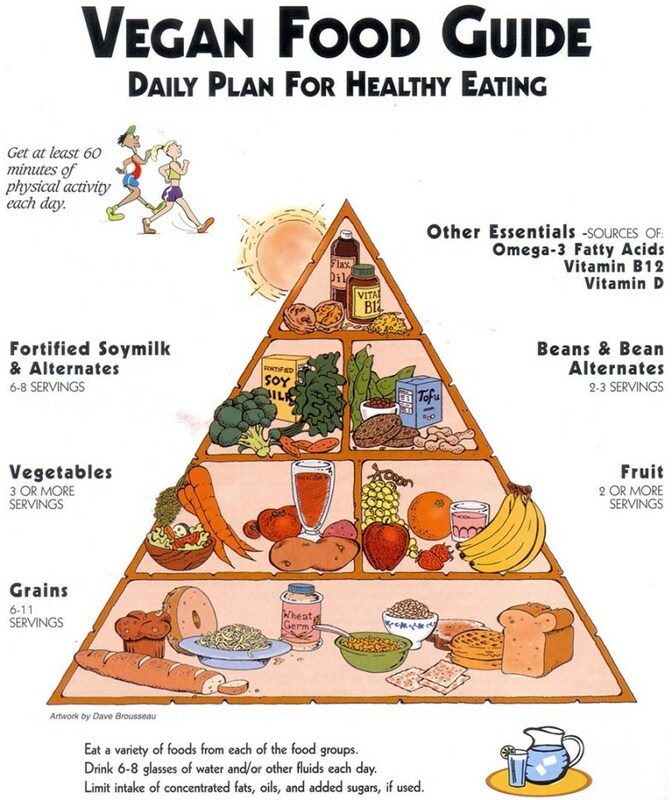 Here are some tips on why and how to become vegan as well as dietary guidelines. After knowing what do vegans eat, here’s more to know. Food poisoning happens to thousands of people every year. A good chunk of these are caused by eating contaminated meat. Meat makes for a great breeding ground for all sorts of harmful bacteria. It is for this reason that meat should be handled and prepared properly. When you cut out meat from your diet, you lower your chances of food poisoning to almost nil. This is especially so if you also cut out dairy and eggs. Studies have consistently shown than vegetarians weigh less and are unlikely to suffer from obesity when compared to those who eat meat. Even when you consider that vegetarian can eat unhealthy foods such as soda, chips, fries and pizza, vegans still do better on the weighing scale. If you want to lose weight, it makes sense to go vegan until you achieve your desired weight. Meat contains a lot of saturated fats. By cutting out meat from your diet, your eliminating a ton of bad fat from your diet. One the other hand, a vegetarian diet contains a lot of healthy fats. This reduces you’re your chances of suffering from heart disease, diabetes, hypertension, cancer and other lifestyle diseases. Animals raised for food go through untold suffering and are eventually slaughtered for the benefit of meat eater. While you won’t stop this practice by going vegan, you will withdraw your passive endorsement of the mistreatment of animals. The meat industry harms the environment in several ways. The grain used to feed animals raised for meat can feed the whole world. The environment is polluted by the waste matter in the meat industry. Moreover, preparing meat consumes a lot more fuel than a vegetarian meal would. Vegan diets are generally more nutritious than meat. You will replace meat with foods such as fruits, beans, vegetables and whole grains. This way you get more of the nutrients that you need for more energy and better health. Knowing what do vegans eat is the first step; doing it right is of equal importance. Becoming vegan is a process, not an event. You don’t need to cut out meat fully from the word go. You can give yourself time to wean by cheating on your diet once in a while. For example, you eat a meal with meat once a week for starters. However, you shouldn’t overindulge. Cut down on portions and frequency as you get used to the vegan lifestyle. You don’t have to refer to yourself as a vegan when you’re starting out. Instead, try and have fun with the whole experience. In fact, it would be best not to tell too many people about your resolution to go vegan. You can tell them you’re off meat for some time. Make a habit of checking ingredients lists on sweeties, desserts and cheeses. These goodies usually contain gelatin which you should be eating. Meat eaters only ever eat the same few vegetables to accompany their meals. These include carrots, broccoli, cauliflower and potatoes. Now that you’ve opted out of the meat eaters club, you ought to experiment with all sorts of vegetables. It might be difficult to eat out with friends when you first go vegan. You need to be bold enough to ask for help. Restaurants usually have at least one vegetarian dish. However, never assume that what’s on the menu is all they have. Ask what else they have to offer. You can even ask them to alter one of the meals on the menu to suit your needs. This is how to become vegan. Your friends and family will make fun of you - get used to it. This is not in any way a lack of respect. Laugh it off and take the opportunity to explain that your diet choices are important to you. They might eventually stop, but don’t bank on it. If your idea of going vegan is to eat veggie burger patties, vegan burritos, frozen pizza and other ready-made meals, you’ll have a horrible time transitioning. When regular foods are frozen, they taste horrible. Do the same with vegan food and you have a disaster in your hands. Take time to prepare your won foods. This way, you’ll be looking forward to meal times and make the transition much easier. Should you be going on a road trip, make sure to carry some packed food. To be on the safe side, you should always have some vegan snacks and emergency rations at all times. Your options on the road are very limited as a vegan. Becoming a vegan is no walk in the park. Just like with other habits, making changes to your diet can be an arduous task. Keep at it. Days will turn into weeks, and weeks into months. Before you realize, you’ll have transitioned completely to a vegan diet and made it second nature. This is how to become vegan. Now that you have a clear idea of what do vegans eat and how to do it right, you can surely have success at this lifestyle!